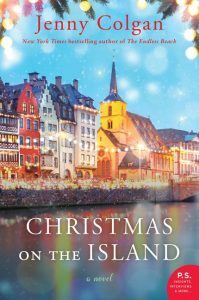 On the remote Scottish island of Mure, the Christmas season is stark, windy, and icy—yet incredibly festive and beautiful… It’s a time for getting cozy in front of whisky barrel wood fires, and enjoying a dram and a treacle pudding with the people you love—unless, of course, you’ve accidentally gotten pregnant by your ex-boss, and don’t know how to tell him. In the season for peace and good cheer, will Flora find the nerve to reveal the truth to her nearest and dearest? Will her erstwhile co-parent Joel think she’s the bearer of glad tidings—or is this Christmas going to be as bleak as the Highlands in midwinter? Meanwhile Saif, a doctor and refugee from war-torn Syria is trying to enjoy his first western Christmas with his sons on this remote island where he’s been granted asylum. His wife, however, is still missing, and her absence hangs over what should be a joyful celebration. Can the family possibly find comfort and joy without her? Travel to the beautiful northern edge of the world and join the welcoming community of Mure for a Highland Christmas you’ll never forget! My Thoughts: I've been a fan of Jenny Colgan for quite some time but this series especially has really captured me. I love Flora and all her brothers and Lorna and Saif and even Joel though I want to shake him occasionally and pretty much all the residents of Mure (with the exception of Agot who drives me CRAZY and Jan who is just awful). I love the whole feel of Mure and I feel connected to the characters. I love that this book - and really all the Colgan books - leave you with a warm and fuzzy feeling but at the same time aren't all unicorns and rainbows and wrap up in a tidy bow. This is a book that is best read in order as you really need to know the characters and understand their backstories and their dynamics. All 3 are wonderful and will be perfect for a little post-holiday madness reading. Rating: Loved it! 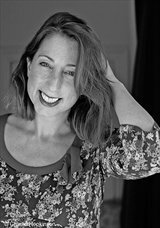 Jenny Colgan is the New York Times-bestselling author of numerous novels, including The Bookshop on the Corner, Little Beach Street Bakery, and Summer at Little Beach Street Bakery, all international bestsellers. Jenny is married with three children and lives in London and Scotland. Find out more about Jenny at her website, and connect with her on Facebook, Instagram, and Twitter. Didn't she do a great job with this series, such a variety of characters and I love the Doctor's storyline as well. I hope this series is taken at least one book more! Yes audio is perfect (in reply to your comment on my blog) with these books, the perfect example of how a narrator brings characters alive. Delightful review Katherine. I have never tried this author but i went ahead and added this to my wishlist. I need to mark this series for when I am interested in a contemporary, especially since it's set in Scotland!! Woman, you are are going to cost me in books this year! I have to get this series, it sounds great. You are right, I love this review. I'm lining up some Must-reads for next year. Joining a few challenges. I haven't read this author before but I do like the sound of this one. I will keep in mind that this series really should be read in order.